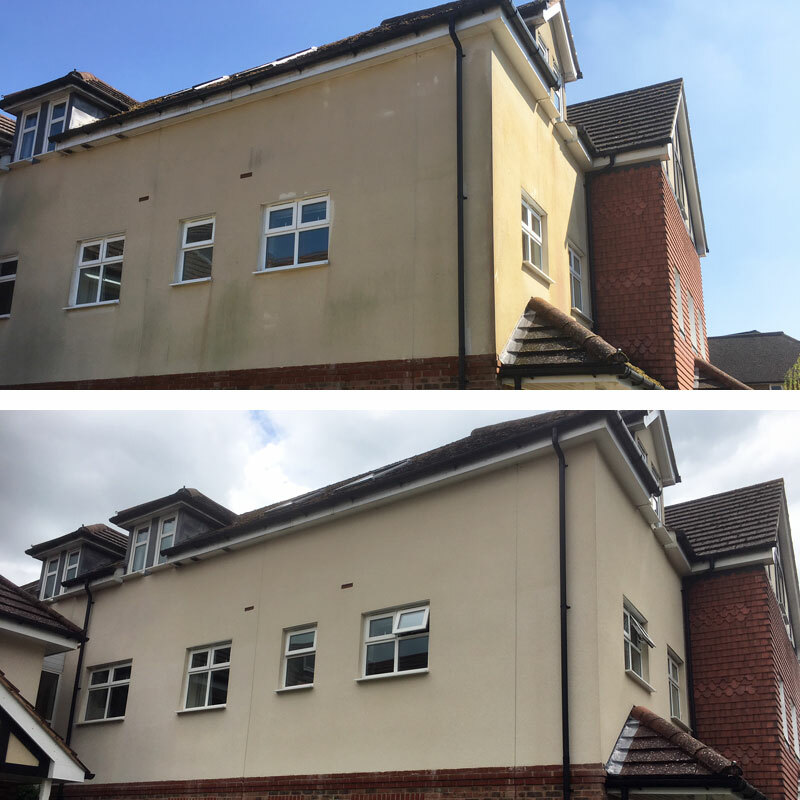 Soft washing is an environmentally responsible, safe and effective way to clean exterior surfaces, such as render cleaning, driveways, patios, cladding, wall cleaning, and most other exterior surfaces you can think of. 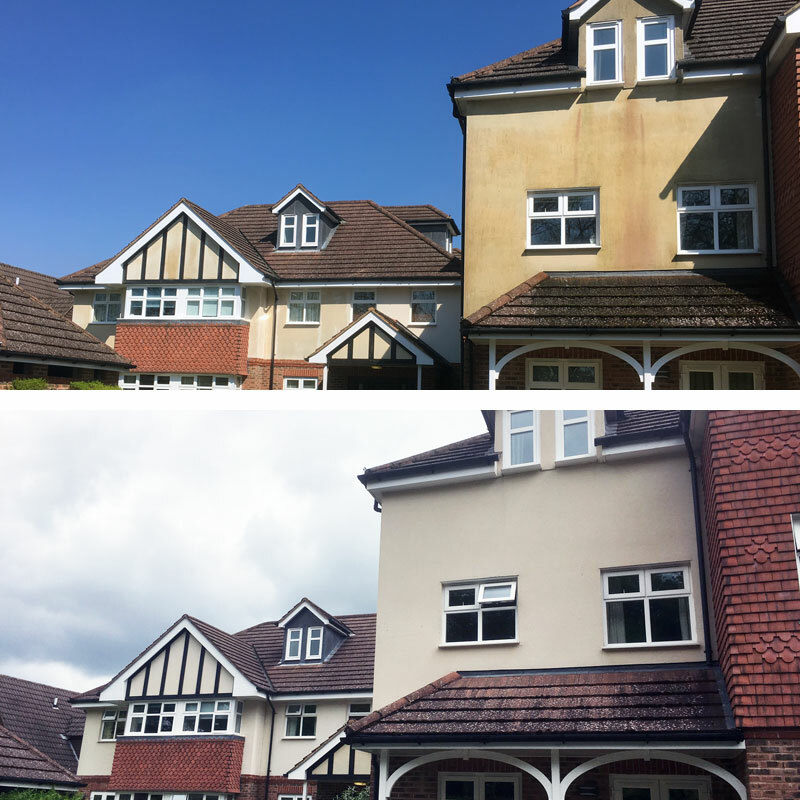 It is a much gentler way of cleaning exterior surfaces when compared to traditional pressure washing. 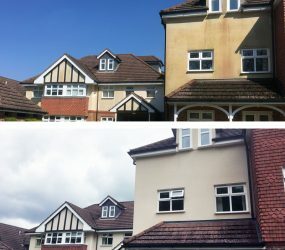 What can soft washing be used on? 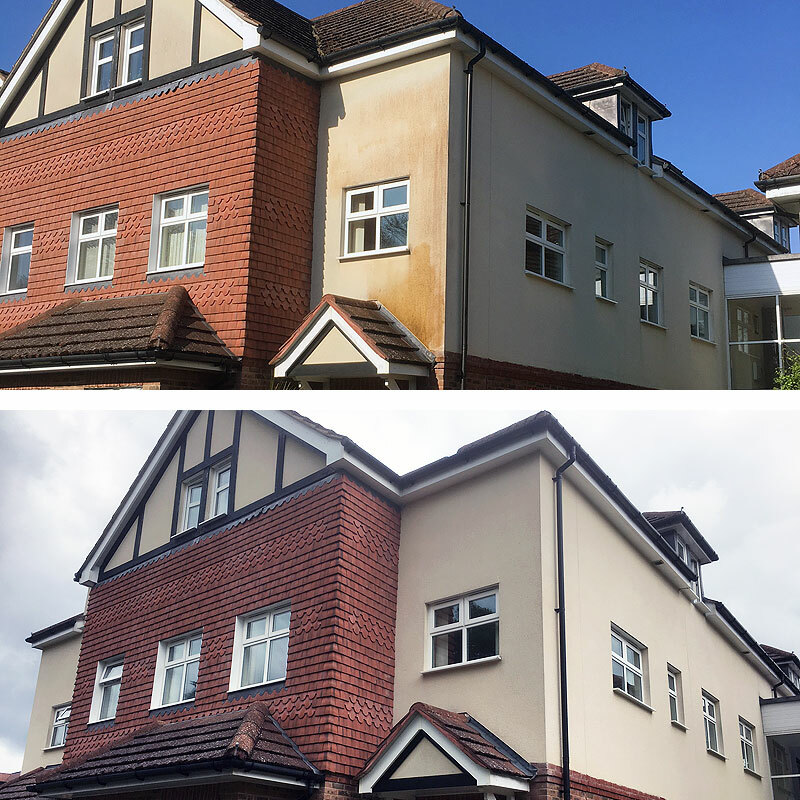 Soft washing can be used on most exterior hard surfaces such as, Coloured Render, Decking, Timber, Pebble, Dry Dash, Concrete, Paving, Painted Surfaces, Roofs, and Brick. 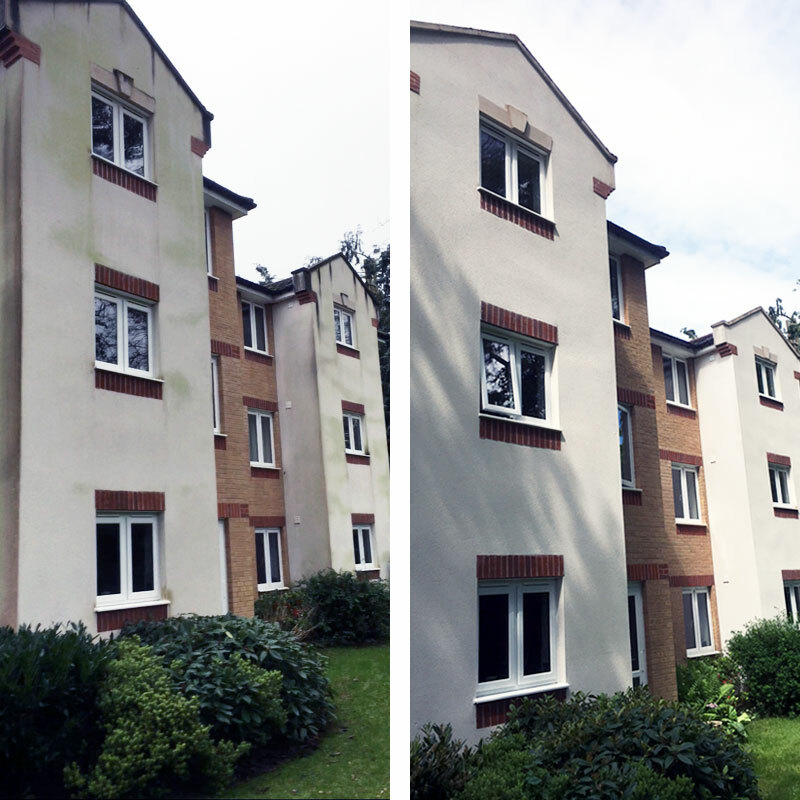 The soft washing solutions we use will remove Red Algae, Black Fungus & Mould, Green Algae & Mildew, Yellow Lichen & Moss. 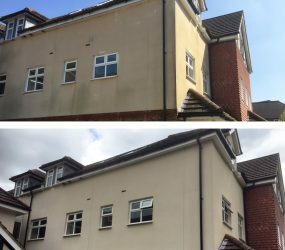 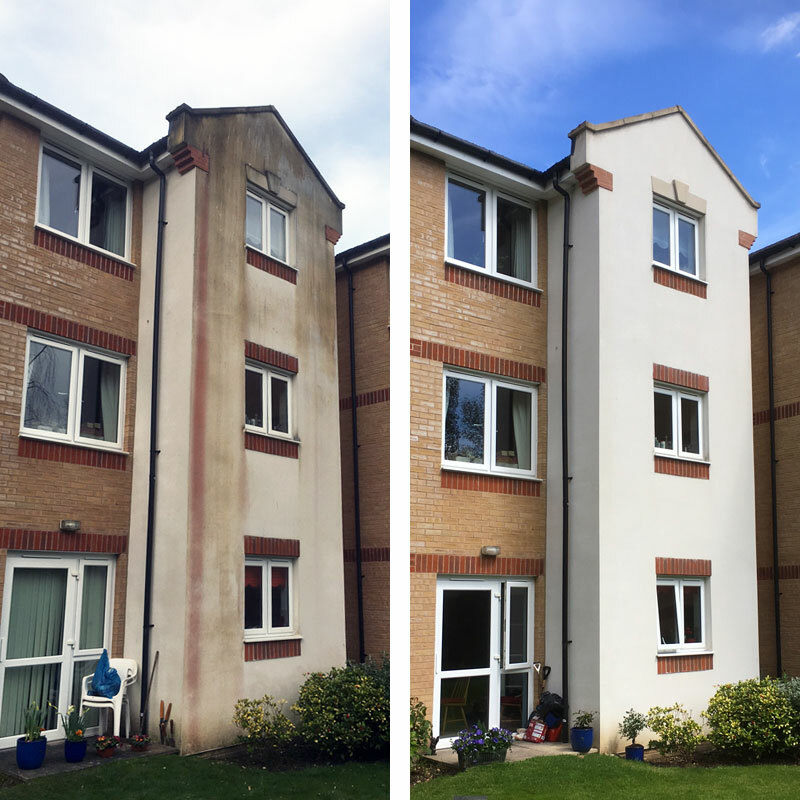 Soft washing eliminates the damage to surfaces like render, as if you were to power wash render it can crack and cause significant damage to the surface. 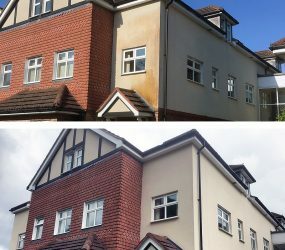 Two leading manufacturers of coloured render, Weber and Krend, have confirmed that the soft washing solutions we use are safe to use on their products, and will have no detrimental effects at the dilutions we use. 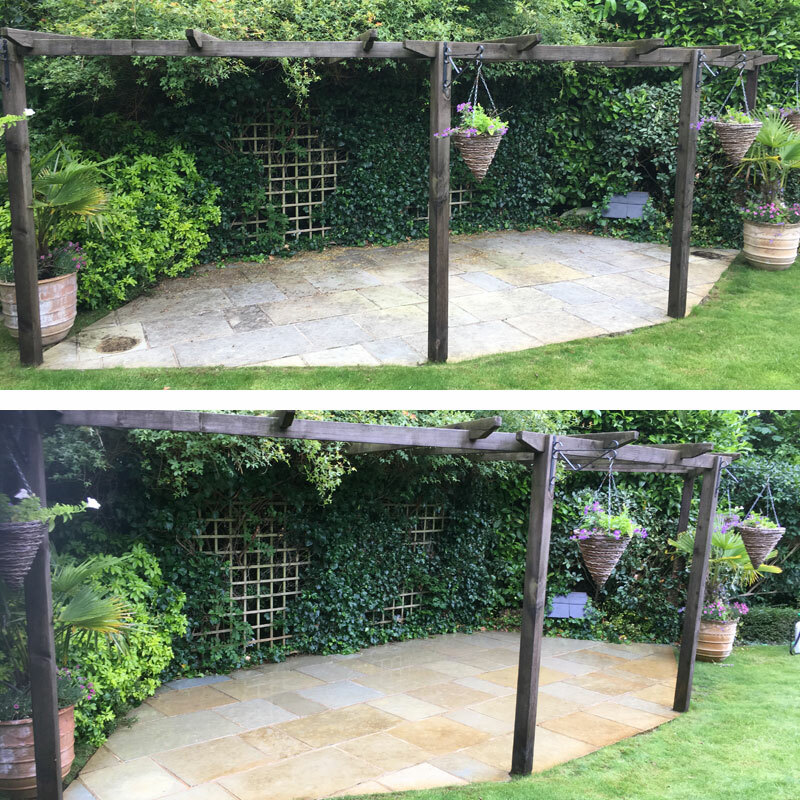 After removing the staining we can then apply a biocide to the surface to make it remain cleaner for longer. 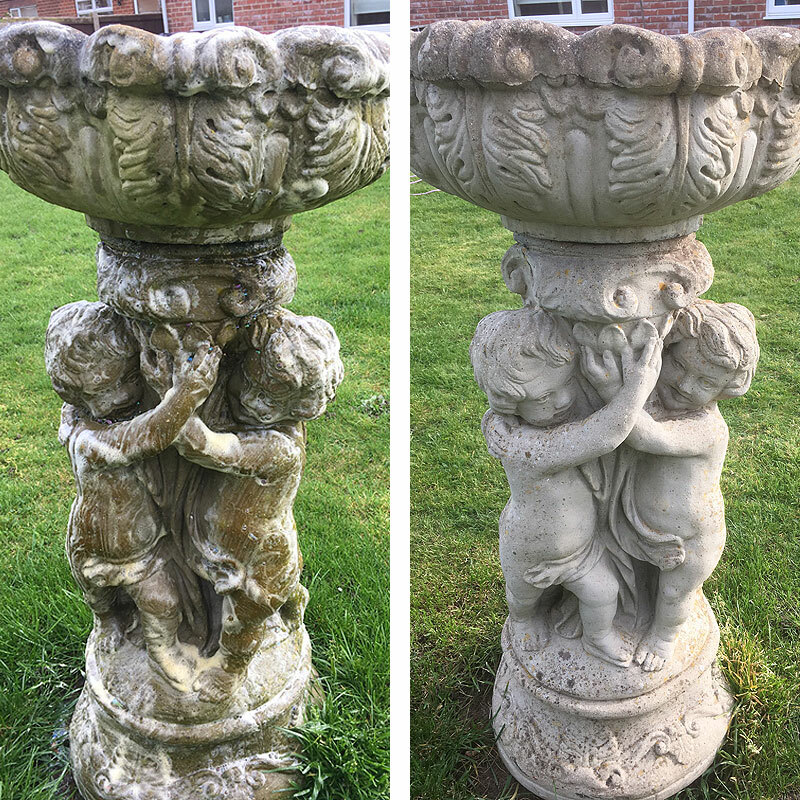 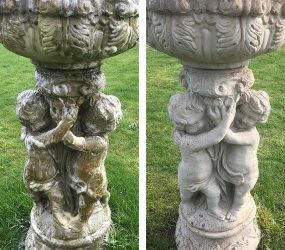 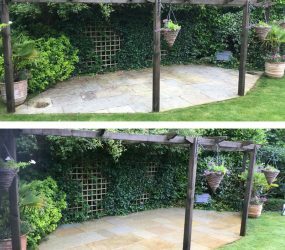 The biocide we use helps prevent re-colonisation by biological growths, ensuring the surfaces of a property remain clean for a considerable time following treatment. 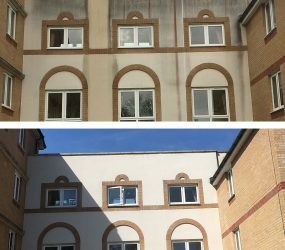 How is soft washing applied? 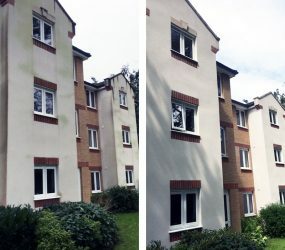 In most cases our soft washing solutions are applied via direct chemical application, normally the solution is applied from the ground using carbon fibre poles or a trolley system, this eliminates human error and the risk of the chemical being sprayed above maximum regulation, where there is heavy contamination it may have to be brushed in. 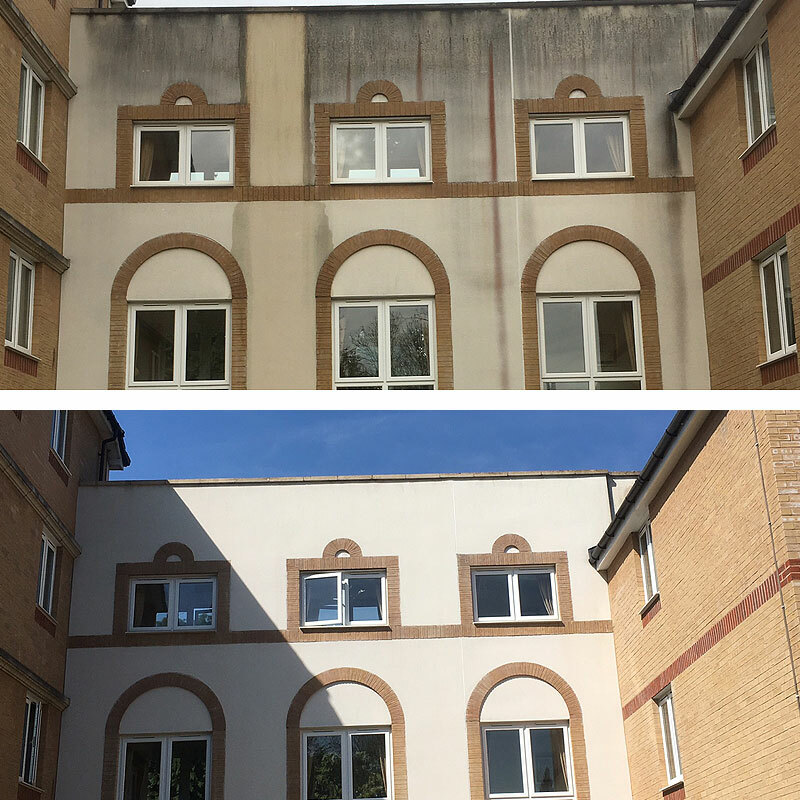 The solution we use is the only sodium hypochlorite based soft wash biocide that has full government approval from the UK HSE (Health & Safety Executive), and REACH (Registration, Evaluation, Authorisation & restriction of Chemicals). 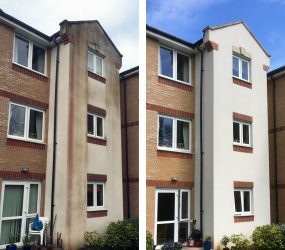 We offer our softwashing, wall & render cleaning in Croydon, Purley, London, and all surrounding areas.